STRAIGHT FROM THE DEVS: It's very hot on our side because today we kick off the load testing of the Escape from Tarkov game servers before the official start of the Open Beta testing at the beginning of 2018. Also we just started a holiday event which will allow the game to be purchased with a 25% discount during the week, and some of the users will receive a free 7-day access to the game. Moreover we released the last update of the game in 2017. 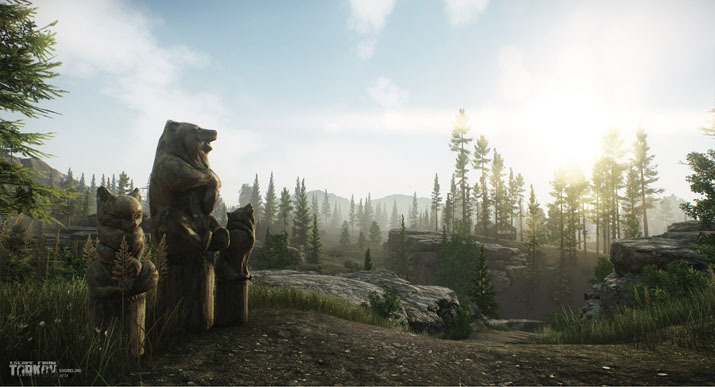 This version of the game introduces the complete Shoreline map. Along with new weapons and weapon modifications, including AKMS, AKMN, Gyurza pistol and Trijicon REAP-IR thermal sight, as well as new equipment like customizable Ops-Core helmets. Several gameplay systems have been seriously redesigned, most importantly, deployment and extraction system, weapon mastering and dynamic changing of its size. Other notable changes include customization of helmets and head gear slots. The end of the Raid screen now features the opportunity to view the Kill List of characters killed during the game session. Furthermore, players can now take dogtags off deceased enemies, which contain info on nickname, level and PMC affiliation. The complete list of new developments and changes can be found on the official project Forum and in social network communities. And from behalf of BSG Team we wish you a Merry Christmas and a Happy New Year!